Speed & Strength are gearing up for summer with two great new additions to their line, the Speed and Strength Power And The Glory Jacket and the Speed and Strength Back In Black Jacket. Whether you are ringing Church bells or Hell’s bells, Speed & Strength has you covered with style and protection. Great for warmer weather, the Speed and Strength Power And The Glory Jacket will flow a ton of air, keep you safe and comfortable on the bike and looking good off the bike. 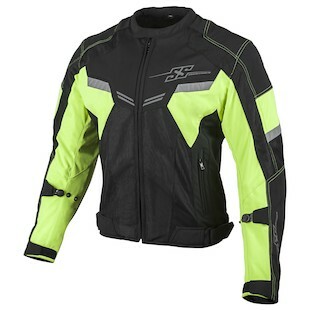 It is a mesh jacket with a full CE rated armor complement in the elbows, shoulders and back, with four color options to suit your personality, from murdered out black to hi-viz. It combines AR500 super stretch-fit material in the impact zones with Fierce mesh frame in the non-impact zones and reflective accents in the trim, along with a low-slung collar a single snap closure at the neck. 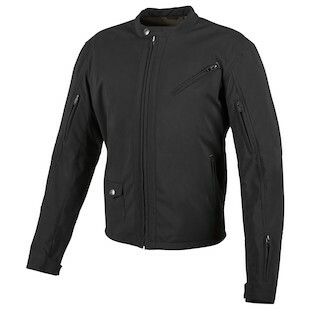 The Speed and Strength Back In Black Jacket will keep you rocking on and off the bike! Subtle styling and plenty of zippered vents work great hanging out at a cafe or hitting the twisties on a hot summer day. The full complement of CE rated armor is completely removable, so if you end up out on the town at the end of long day riding, this jacket can transform into a casual coat. The AR500 super stretch-fit frame is soft to the touch, but will offer solid protection in a crash. Speed & Strength has done a great job filling in the gaps in their jacket line with these two new lightweight, hot weather options. Both offer beefy impact protection and abrasion resistance while maintaining Speed & Strength’s commitment to style and looks. Summer can’t get here fast enough to try these two powerhouses out!